In an interview with IGN Japan (via ResetEra), producer Kazuki Hosokawa intimated that the team was keen to release the series on formats other than PlayStation 4 in order to “increase the player base”. While he dashed hopes of a Nintendo Switch release any time soon, he did not do the same for PC—instead, Hosokawa said the developer was “considering the possibilities” across a range of additional formats. Last week, an ESRB rating tipped us off that Yakuza Kiwami 2 was due to hit PC. 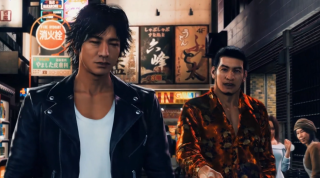 The game initially came out on PlayStation 4 in Japan in 2017, and it’s a remake of 2006’s Yakuza 2 in the Yakuza 6 engine. The state of the car computer: Forget horsepower, we want megahertz!